It is well known that one of the most dangerous times for women is when she is leaving an abusive relationship and your safety is therefore of vital importance. Whether you are currently just considering leaving or whether you are already at the stage of building up a safety plan for leaving, this advice on leaving an abusive relationship and your safety could be vital. The law in the UK allows you to defend yourself with reasonable force, which is force that is proportional to the threat that you are faced with. This is a subjective idea that depends on the individual circumstances. In basic terms if you are faced with one attacker, who is throwing punches at you, and you retaliate with a hard punch and you put your attacker to the floor, and then you run away, you are acting with reasonable force. If you stayed at the scene and continued to attack, you could be acting outside the law. Remember the law protects both of you and does not take sides. If you have fixed appointments that your partner is aware of then change the time and location. Inform the children's school and make them aware that there may be trouble. Advise them that only you or another trustworthy person will pick them up. If you have moved and you don't want him to find out where you live, you can ask for the electoral role register to be anonymous. Change your internet provider and security passwords. If you need to contact your ex-partner dial 141 before making your call as this will make it untraceable. Talk to your children. Tell them that they matter most and ask them not to tell others where you are living. Change your mobile phone; mobile phones can be "tracked" when they are switched on. Can you be sure that your car has not been tracked. Stoppa Ltd has produced a legal defence spray that can be used in the UK. This spray is not an incapacitant like CS or Pepper spray. The spray works by impairing your bully's vision; if they can't see you they can't attack you. StoppaRed UV is a thick slimy goo designed to physically stick to an attacker giving you valuable time to react and escape. If you are threatened with immediate personal violence then this option is perfectly legal, but has to be reasonable and justifiable. In the UK, a legal alternative is the TWI FARB GEL SELF PROTECTION DEFENCE SPRAY 100% UK LEGAL --- In the US, it would seem that Pepper Sprays are still legal, so you might be better off ordering them from the UK store! The 'goo' has a bright red colour to identify the attacker in the moments after an incident with added UV dye to help identify the attacker even days later. It is designed to be difficult to remove without running water. This spray can provide you with a chance to escape. It produces a very accurate stream over 3 metres for approximately 6 seconds or 6 one second bursts. StoppaRed UV has a maximum range of 4.5 metres. This is a good preventative defensive spray that could be used in a variety of situations. Do not use the spray in windy conditions or crowded streets. The spray is best used at a distance and is not to be used in tight spaces. 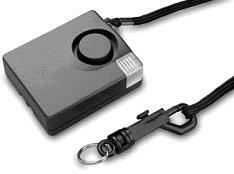 Personal Attack Alarms are another device that you may consider using in a confrontational situation. They are best used in order to try and disorientate the bully. Place the alarm near the bully's face and shout as loud as you can. The bully will become disorientated and this should give you time to escape. 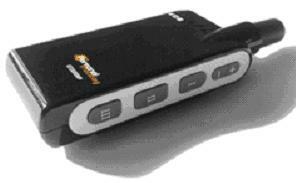 In the US the most recommended version seems to be the STI 12005 Mugger Stopper Plus, Personal Protection Alarm . Technology can help you stay safe, 3ARC limited have developed a number of safety products that allow you to contact help and support at the touch of a button. The 3ARC Angel system connects your mobile phone to a 24hr dedicated response service using a predefined 0871 number. When your body releases adrenaline fine motor skills become very difficult. The 3ARC system allows you to contact the control centre by speed dialling the number 3 on your mobile phone. Once you have made contact with the control centre your personal details and history will be shown to the operator. The operator will then be able to summon help from a variety of sources including family members, neighbours or the police. 3ARC also offer a GPS locating system know as Track and Talk. This system acts as a mobile phone, when you activate the handset the control operator will be able to speak to you and pin point your exact location. Your personal details will be accessed and the appropriate help will be notified. This technology could save you from immanent danger especially stalking ex partners!!!!! Keep to main routes and avoid places of darkness. Stick to well lit and busy areas. Plan your route and stick to areas where there is CCTV. The more people about the less likely you are to be attacked. Try and vary your times and locations when travelling. Often your bully will be waiting for you. When travelling, make sure you are with a friend and tell someone where you are going. When you leave your home, tell someone where you are going, when you will be returning and how you can be contacted. Leave a timetable of your likely whereabouts with loved ones. Carry a mobile phone and make sure it has enough credit on it. Shout 'fire' rather than 'help' as it can get more results. If he starts to chase you, bang on every door possible in the street and draw attention to your self. Try and use the mirrors of cars and reflections of shop windows -- that way you can see what is behind you. When out walking, you should avoid using your mobile phone or texting on the go. This distraction can stop you from being aware of your surroundings. Similarly listening to your iPod whilst walking can limit your awareness. Do not get drunk, you will not be able to think clearly and act decisively. Avoid dark gloomy places, subways, bridges, open fields and dark lanes. Never take a short cut. Depending on the social occasion, consider what type of clothing could be a hindrance. Avoid poor foot wear; you can't run with flip flops or high heels. Avoid wearing hoodies and large anoraks, as they may block your peripheral vision and can easily be used to stop you seeing. Jewellery can be used to strangle, and (expensive) earrings can easily be ripped out of your skin and can cause injury. Long hair can be used as a tool to grapple with, so tie it up. Keep expensive personal items to a minimum; do you really need your iPod, camera, mobile, laptop, etc? When carrying a rucksack, carry it on one shoulder, so that if you sense there may be trouble, you can dump it and run. Consider wearing sunglasses in the daytime, that way you can avoid eye contact and check out what is going on. do not give lifts to or accept lifts from people you do not know, or do not know very well. if in any doubt make an excuse and don't get in the vehicle. Personal information is information that you give freely about yourself on a website, social networks, emails, text messages and chat rooms. There are many positives to this way of communication; it is cheap, fast and effective. However, there are many downsides and this new age of communication can make bullying worse. You have to decide which method of communication best suits you and weigh up the pros and cons. The written word can be misinterpreted very easily. Communication is 80 percent non-verbal, as our body language, and tone of voice and presence give a true indication of what we are really saying. What we are truly saying in our message depends on how well the person listens. The ability to listen is a very important skill; it is not just about the spoken word it is also about feelings. The person doing the listening will listen better if he is feeling calm and relaxed. Unfortunately text message, email and social networking do not truly allow us to communicate effectively. Communicating this way can be very impersonal as your audience cannot understand how you are feeling. A bully can pass all sorts of information on the web about you, and a hate campaign can form. After leaving an abusive partner, I would personally avoid such ways of communication. don't give people ammunition and tell the whole world what you like and dislike; your bully will have an even stronger advantage, he may even know where you are going etc. The other thing to think about is the issue of jealousy. If he sees that you have met some one else he may act even more irrationally. Keep it low key and close to your family. Wait till he meets someone else. do not respond to threatening messages; do not take the bait. Article kindly provided by Neville Evans of Bullied Publishing, all writing is subject to copy write, however please feel free to disseminate to any person in need.